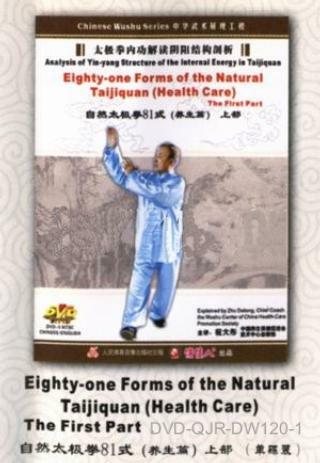 There are Eighty-one Forms in the Natural Taijiquan, including three chapters of Internal Energy, Practical Combat, and Health Care. Nine forms in one section, there are nine sections, total eighty-on forms. It practice the heart, spirit, mind and energy, from the upper to the below, the inner to the outer. It is art, an exercise art of relaxation and flexibility in the exchanging of Yin and Yang. The characteristic of the Natural Taijiquan is following the principle and the track of nature ways. The fist is light and agile, it focuses on the mind not the force. it is good for the health and it can drive away the disease and prolong the life.